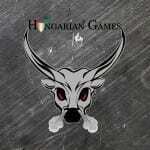 The 2nd Hungarian Games is coming on 1-2 Apr 2017! The game will be hosted by one of the best equipped – or even the best equipped – box, the CrossFit B’Bros, providing the perfect place and more perfect condition to the competition. Concept 2 will provides the rowers; the team from Double Cross Challenge will organize the games. We are waiting for women and men athletes in RX, scaled and masters categories. After the registration and qualification you can advance into the final games, where special prizes and money prizes are waiting for the best competitors! Don’t miss it! You’ll be posted continuously! The registration to the competition can be made on the website, between 01th of January and 31th of January 2017. The registration will be finished after the registration fee has paid. The qualfication WOD will be announced on 01th of Febr 2017, you can fulfill it between 01 Febr and 12 Febr 2017. Regarding the qualification the best athleets advance into the final on 01 Apr. The entry will be finished after the entry fee has paid. After the qualification the best 30 men and 10 women advance to the competition in RX category. In Scaled category the best 40 men and 20 women advance to the turnament. In Masters category the best 10 men and 10 women advance to the turnament.